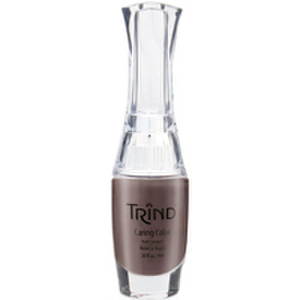 Trind Cosmetics are a Dutch company, successfully retailing hand and nail beauty products for over 25 years. Trind products are excellent for helping provide a visibly better and cared for condition of the nails, cuticles and hands. The products help to make nails stronger and appear more beautiful to touch and look at, without disturbing the natural structure of the nail bed. With Trind's many years of experience, extensive laboratory research and loyal interaction with our customers, Trind is respected for its expertise in natural hand and nail care. Trind confidently offer a solution for the nation's hand and nail problems, with products ranging from caring colors, to hand repair creams.